Technology isn't the only field where change is constant. 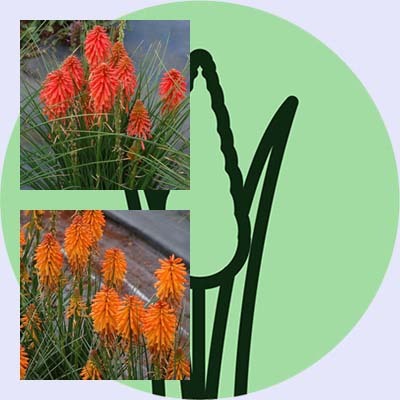 Horticulture is dynamic; new plants are constantly being introduced. Selecting the best of the best can be daunting even if you are primarily dealing with one genus. Make that one huge genus, because there are about 900 species of true sages, or Salvias, worldwide. 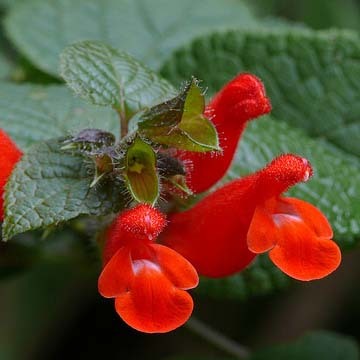 We do our best to help you sample the Salvia world, including new varieties of sage species and companion plants. Our New at FBTS articles detail introductions to our catalog; some are brand new to commercial horticulture and others are simply new additions to our gardens. Please contact us if you would like to share your experience with these plants or other introductions. 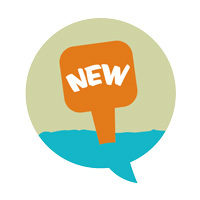 To improve our ordering process, Flowers by the Sea Online Nursery no longer accepts split orders. Dividing an order for delivery on more than one date created confusion and errors. A love of birds can grow into a passion for gardening. 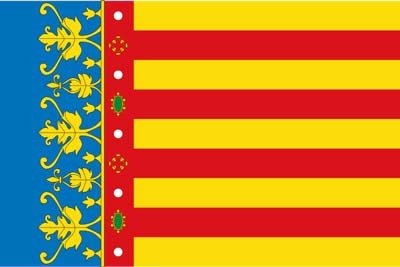 The reverse is also true. Sometimes these passions result in the development of excellent plants, such as Salvia x 'Margie Griffith' -- one of our newest introductions at Flowers by the Sea, our family farm and online nursery. Margie Griffith Sage grows up to 96 inches tall and wide in bloom. 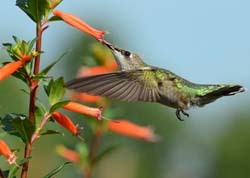 In some parts of its USDA Plant Hardiness Zones 8 to 11 it feeds hummingbirds nearly year round. It isn't surprising that the golden flowers of the drought-resistant, perennial Texas Craglily (Echeandia texensis) are tops for attracting butterflies. The plant was first discovered on Green Island in Laguna Madre, which is at the southernmost tip of Texas. 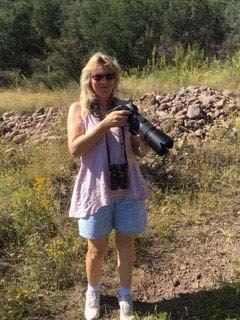 The area is part of the Lower Rio Grande Valley, which is home to 300 butterfly species. 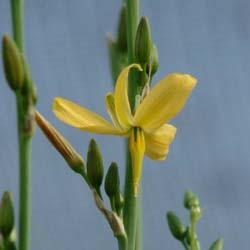 Texas Craglily is an adaptable plant that grows well both in dry and somewhat damp conditions and from California to the Southeast. But it is a rare species that may be threatened by land development and the U.S./Mexico border fence. Plants contribute to our lives in many ways -- as sources of beauty, building materials, clothing, food, fragrance, medicine and oxygen. Add hope and fulfillment to the list, because that is what three abundantly blooming Salvias from Australia add to the lives of seriously ill children. These plants form the Wish Collection -- Wendy's Wish Sage, Ember's Wish Sage, and Love and Wishes Sage. Flowers by the Sea is one of the first online nurseries in America to sell all three. Although we have grown and sold Wendy's Wish for a number of years, Ember's Wish and Love and Wishes are new at FBTS. Most bat faces only look beautiful to their mothers. However bat-faced Cuphea schumannii seems pretty as punch to hummingbirds in search of a sweet drink of nectar. If you take a close look at the ragged, open end of each flower, you'll see two, tiny, lavender petals standing straight up like bat or mouse ears. 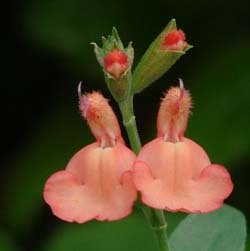 So, despite its common name, Orange Cigar Plant, this species is known as a bat-faced Cuphea. Aside from being excellent for attracting pollinators, Cupheas are becoming important agricultural crops that reduce pesticide use. Drought-resistant, heat-tolerant, vibrantly colored Suncrest Salvias (sages) have arrived at Flowers by the Sea and will be available for shipping in April. Suncrest Salvias are floriferous hybrids of species native to the American Southwest and Mexico, including Mountain Sage (Salvia microphylla), Autumn Sage (Salvia greggii), Jame Sage (Salvia x jamensis) and Royal Purple Autumn Sage (Salvia muelleri). 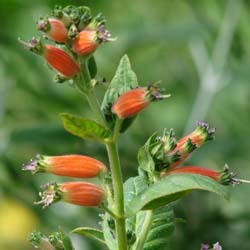 Bright orange, tube-shaped blossoms cover Cuphea x 'David Verity' like tiny windsocks blowing in a breeze and beckoning hummingbirds. Similar to Salvias, Cupheas are rich sources of nectar that fuel hummingbird migration. At Flowers by the Sea, we are always interested in expanding choices for creating wildlife habitat. So we are growing a wide variety of Cupheas for sale this coming spring, including David Verity. A 'mass of scarlet awesomeness' is one way that Denver Botanic Gardens Senior Curator Panayoti Kelaidis describes Vermilion Bluffs® Mexican Sage (Salvia darcyi 'Pscarl') at his Prairie Break website. 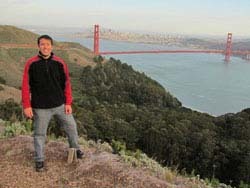 Unlike so many Southwestern sages, Vermilion Bluffs is surprisingly cold hardy as well as being drought tolerant. Its common name is taken from the spectacular red bluffs of the Vermillion Basin Wilderness in Northwestern Colorado, an area redolent with the scent of sage on hot days. But the plant is native to the Nuevo Leon area of Mexico's eastern Sierra Madre Occidental mountains. The story of how its parent plant arrived at Denver Botanic Gardens (DBG) and, eventually, at Flowers by the Sea is one of diaspora. Viewing the creamy peach-pink and yellow of California Sunset Autumn Sage (Salvia x jamenis 'California Sunset') may remind you of a Georgia O'Keefe painting. Anyone who has viewed sunset dipping into the mountains of New Mexico knows that soft pastels are common to Southwestern sunsets. Similarly, subtle bicolored combinations of pastels are common characteristics of many S. x jamensis species, which are crosses between various Autumn Sages (Salvia greggii spp.) 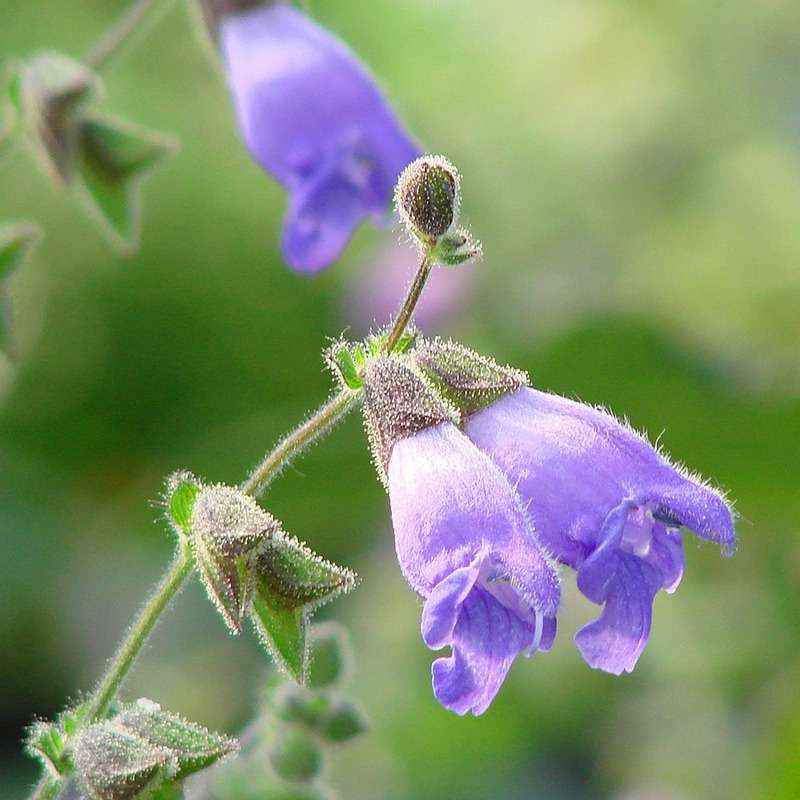 and Mountain Sages (Salvia microphylla spp.). 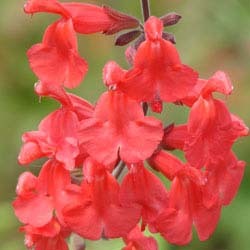 Salvia greggii 'Cold Hardy Pink', a variety of Autumn Sage, is made for Zone 5 winters. 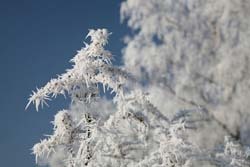 It tolerates conditions swinging from hot, dry summers to sub-zero winter temperatures. Pair it with Ultra Violet Sage (Salvia x 'Ultra Violet') for a tough yet lovely border. 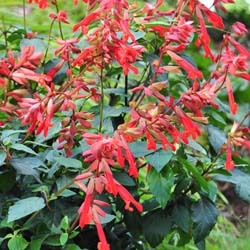 Flowers by the Sea is selling "font-style: italic;">Salvia 'Amistad'. 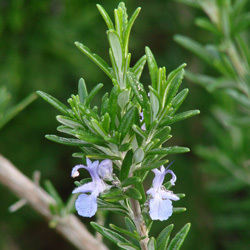 It was a mystery sage to University of Buenos Aires agronomy professor Rolando Uria when he encountered it at an Argentinian plant show in 2005. 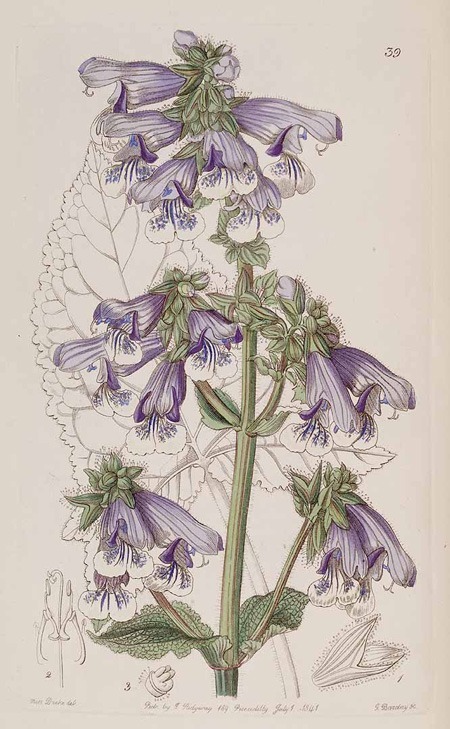 Discovering its extra-long-blooming characteristic along with the intense violet of its large blossoms, he began sharing it with friends and named it Friendship Sage. 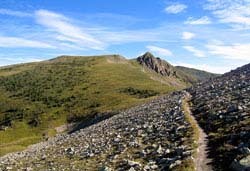 In the Rocky Mountain West, conditions can swing from hellishly hot, dry summers to freezing cold winters. 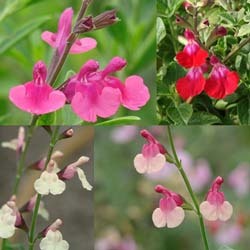 Many Southwestern Salvias are ideal for the sunbaked summers but have trouble surviving chilly Zone 5 winters. So we appreciate the cold hardiness as well as the drought resistance of one of our newest hybrid cultivars, Ultra Violet Hybrid Sage (Salvia lycioides x greggii ‘Ultra Violet’). 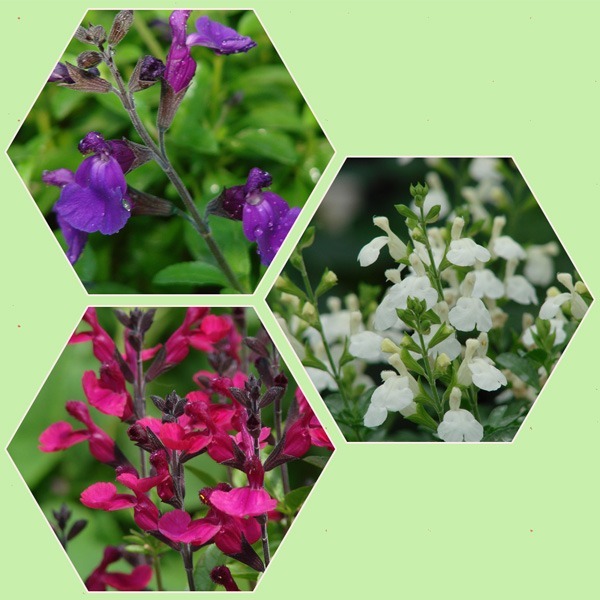 FBTS introduces the Three VIBES -- a new series of heat- and drought-tolerant Jame Sages that produce masses of flowers from spring to fall. Hummingbirds love them. I saw the beautiful salvias on a friends fb page and had to have some. He was able to share the link with me, so I ordered and absolutely love them! They are doing fabulous and I will be ordering more from this company! It's obvious they care about quality and customer satisfaction.